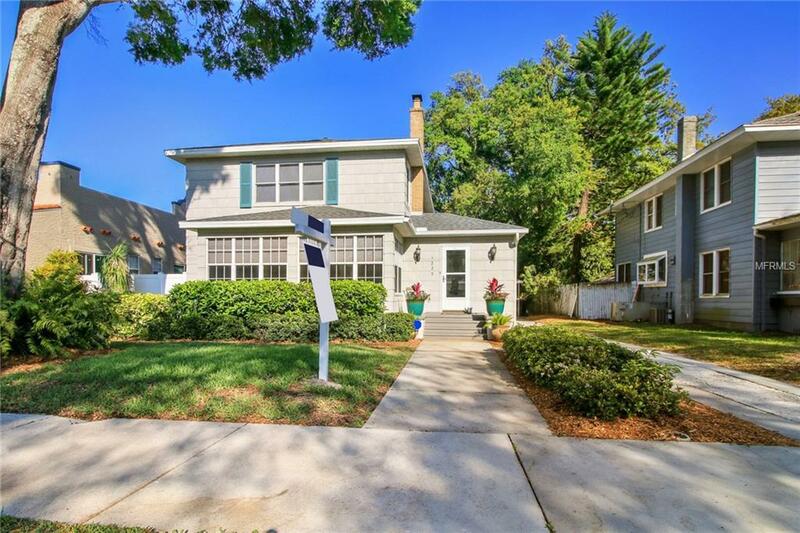 Welcome to beautiful 4 bed 3 bath pool home in Historic Euclid St Paul! This spacious and beautifully restored two-story home, all bathrooms have been updated, lots of new upgrades; roof w/hurricane clips, master bath, custom designed refinished hardwood floors, garage door openers, freshly painted interior & exterior and landscaping! Coming through the front doors you'll be greeted by the large foyer with plenty of extra storage space leading to the formal living room with wood burning fireplace, separate formal dining room. Home features 2 master suites, one on the 1st floor and one on the 2nd. The bright and open eat-in kitchen offers stainless steel appliances, double oven, plenty of room for entertaining and beautiful stone countertops. With access to the stairwell from both the living room and kitchen; the 2nd floor an oversized master suite with plenty of room for a sitting area if you choose and a walk in closet. With extra storage throughout the entire home. Laundry room/pantry just off the kitchen. Glass Florida room with split AC system overlooking your custom saltwater pebbletec pool and spa, custom brick pavers and a large fenced. Easy maintenance backyard oasis complete with irrigation system and alley access. Detached 2 car garage with long drive way (room for RV). Euclid St. Pete neighborhood has so much to offer: school, haunted hike, festival, easy access to Crescent Lake park, I275 and all downtown has to offer.